This Accessibility for Mobile service is provided for creators of mobile technology such as app developers, mobile operators and manufacturers. Our specialized engineers will test the accessibility of your mobile solutions and guide you all the way to make them accessible. We check the design and development process. We report the current status of your product’s accessibility. 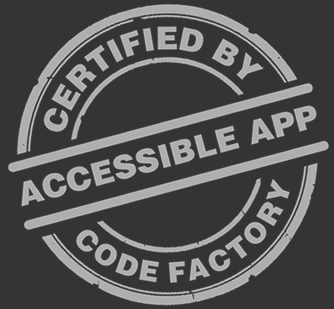 We provide accessibility for mobile certification guidelines. Consistent control distribution and grouping. Complementary UI components for activating functionality. Support for multiple input mechanisms. Accessible labeling of User Interface (UI) functional components. Accessible feedback for context and status changes. For existing technologies, we’ll guide you in the implementation of the accessibility improvements needed for certification.